Hello and welcome! So glad you are here. In the information that follows, you will find a list of services that I offer to help support you. I set up this document to act as a tool that you can use to determine if I am the right fit for you and your personal growth. Explore through the two programs to find what resonates with you. Jot down any questions that come up for you. Set up a no-obligation call with Anne to answer your questions and see if we are a match for your coaching journey. What I love about my programs are the options. Sometimes it feels when there are options it makes it easier for me to choose. Whether just starting out to connect with a coach or have already had some coaching experience the choice is yours to select which one sounds and feels the best for you. You feel safe and our relationship is based upon trust. You get to learn how to play and have fun. Although there is a learning curve to anything new, you win by how much you are willing to play full out. By creating this style of atmosphere for my clients, I have found that it makes it easier for them to learn and implement the tools so that they can live their life more purposeful, successful and happier. Within the fundamental philosophy of my programs, I have developed tools that when incorporated into your daily life, you will experience shifts, almost instantly. I like to term my tools as toys because when we have a sense of play it makes everything so much easier to handle. Yes, even the not-so-fun stuff seems a little easier to manage. You will learn to play with all of them. The benefits of bringing these tools into your daily life are all for your greater good. In the beginning, shifts will occur, opening of doors you would never have imagined and you’ll receive many transformations when these tools are routinely used. My client’s lives have been positively, playfully and passionately transformed. Both of my programs offer the same tools. What determines which program for you to choose depends upon what resonates best to you. I want what is best for you. I also want you to have the program that supports you so you can have breakthroughs that will lift you to the next level. 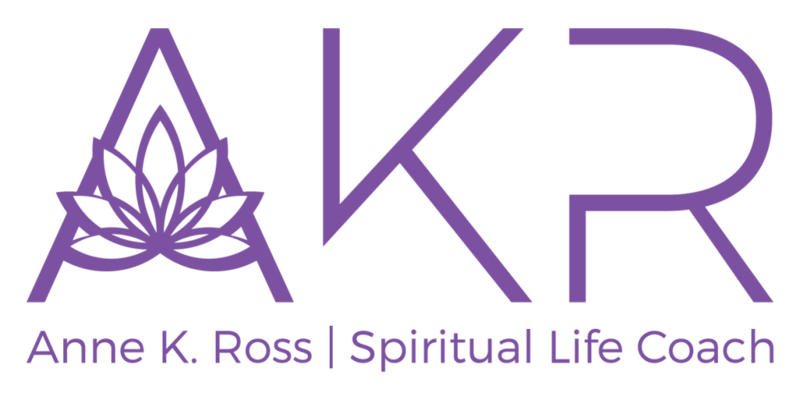 Both programs, the 30 & 90 day spiritual Freedom Programs offer the same modules, tools and teachings. And with both the 30 and 90 day programs you get the same results. Success! One is just faster, the other, more leisurely. Are you a go getter and want to do it now and ready to hit the ground running? Or do you like to take your time? There are no wrong answers when we work together. Finding the program that’ll work best for you can be guided by me through a Discovery Call. I want you to be comfortable and kind to yourself. There is no rush. Read through my programs and see what comes up for you. You’ll know the minute you read through the programs which one is right for you, as that is how everything in life works. There’s something about “it” that you are drawn to. You want to get going NOW with your goals. You have a burning desire that has been kept quiet for too long. You work well with someone yet can be self directed on your own. You are a mover and shaker who wants to get going and do it NOW! You’ve either had coaching in the past or know you are able to take direction and hit the road running. Or, maybe you just need a quick fix to get you across the bridge where you’ve been waiting for a bit. It’s easy to think if we just tap our heels or wave our magic wand to have it better quickly. That is going to happen but in focused time, dedication and support, quality support. The 30 day Spiritual Freedom Program is going to give you that jump start and get you moving, fast. The first 90 minute phone session is a mini intensive – You get to download to me everything you have going on now and where you want to go. Even if you are not sure where you want to go, together we will find that out quickly. Final week, we review your successes and set you off for a good continuance on your own. 3 – 90 minute phone sessions, 1 per week – We check in first and see what’s been done, where you are at and go over any questions you have and set up for what’s next. Getting clear on your mindset and focus for the following week. Email availability for support and accountability – I am here for you outside of our regularly scheduled phone calls through email. For anything that comes up that needs attention before the next session, questions and answers and any sharing of your accomplishments that just can’t wait until the next session. Clarity will begin almost immediately. When we get into the welcome packet and together start to discover you and your life, we begin to uncover a variety of areas in your life: Health, Relationships (close and extended), Abundance, and Purpose. Direction. We will create the foundational mindset and vision to clearly define your goals, see what’s holding you back, build better beliefs, identify what you desire and create your roadmap that is in alignment with your true purpose. Success. As you change, your world changes. How does that feel and look? Are you able to stand strong to reach your goals and desires? Do you need more fine tuning? Is this goal and desire really what YOU want? Are you willing to make the changes to move forward? Continued shifts will keep occurring. And, you’ll get continued support during the shifts and questions during our time together. Make YOU a priority Invest in YOU and YOUR own life. Allow yourself to receive that special one on one care only achieved with a trained professional! Really knowing you, your life and caring about you and your successes. A supportive commitment to being there 100% and holding the time together in deep and sacred space. It’s just you and me, us. Spiritual connection that provides us with open and trusted communication. Again, sacred. Accountability to hold and support your word. Uncovering what is holding you back and together we clean house and clear them away. For the person new to coaching, this is a great place to start. Great for people who like to “try it on” and feel the fit more gradually. Gaining access to your own power is can be a little tricky when you are going it alone for the first time. Although your family or loved ones are close by to support you, they’re not always available or not the right go-to to get what you need in terms of support, guidance and the professional listening care that an experienced coach can give. By setting the groundwork with me, through establishing what your real priorities are, where you stand now and how to clear away what is no longer serving you, we get up to speed to create insight, growth, abundance, more harmonious relationships and greater health. If you’re looking for upping your career and want to find out what is really blocking your upward mobility, we can pinpoint what’s really going on and set up a plan, implement and see the shifts occur. You’ll be well on your way with the right guidance and support as shifts occur. The first session will be a 90 minute mini intensive – You get to fully download to me everything you have going on now, where you want to go. You’ll start learning tools right away that you can implement in your daily life to ground yourself daily. On your final week we’ll have another 90 minute session to review success and set you off for continuing on your own. 3 – 50 minute sessions per month. We will always check in and see how you are doing, what you’ve accomplished and answer any questions. You’ll also learn more tools to add to your tool belt that you can access anytime. We’ll create a masterful mindset and direction for the week. Each week there will be modules where you learn about your core beliefs and patterns and find out if they are working for you or not. From there we look and build beliefs that support your greater good, ones that really resonate with you, to support you and your vision are headed. You’ll also learn new skills such as specific breathing techniques and meditation that will ground you when practiced every day. From day one of implementing these two, you’ll start seeing shifts occur almost instantly. Both of these give us a deeper connection to our true self and our higher source, the infinite intelligence, spirit, God. Another tool you’ll learn are understanding all about energetic vibration and why knowing this is one of THE keys to propelling every facet of your life forward. And, not only forward, but understanding energy will aid you in grounding yourself so you can handle the day or in any situation. Added to these for reaching your desires is creating the right goals, how to set the right intention and affirmations. When we learn these techniques, the correct way, our lives are changed for the better, we become healthier, actually reach our goals, and the most profound about all of this, is that we learn how easy and seemingly effortless it is when we’ve reached our goals. In fact, you giggle as to how fun it was. As you change and rise up, your world changes too! What is new and different about it and what will be showing up? Are you being challenged to determine if what you want is really what you want? Are you willing to make some tough decisions to get you where you want to be? With focused, weekly accountability, things in your life will shift and change. Without accountability, nothing really moves forward. When you have my support available to you, keeping you focused and on track, challenging your old beliefs and patterns, you will bust through to the other side. Make YOU your #1 priority Invest in YOU and YOUR life Allow yourself to receive that special one on one care only achieved with a trained professional! Questioning if this is right for you or if we are a good fit, is a great place to start. If you’ve read this far, then you are curious. I love being curious. My style of coaching and coaching programs are not for everyone just as any fashion style or sport is not for everyone. To find out the possibilities, please feel free to schedule a complimentary 30 minute discovery call. We can discuss your goals and desires or just get to know one another. If it’s a fit, then I’ll send you a Welcome packet for you to complete. When the packet is turned in we will then schedule your first phone session appointment. I hope I have answered all of your questions and curiosities. Thank you for taking the time and energy to consider me as your next step on guiding you on your path to Lighting the Passion Within.